Before the barristers' wig was introduced, those who served in the law courts wore a black cap of flat bonnet. However, during the 17th century, things changed. 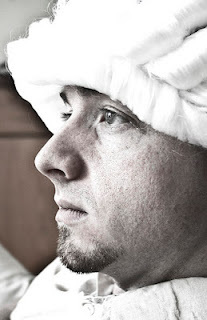 In 1680, the legal wig was made from white or grey hair that was usually powdered. This served for the next 150 years. In the early 1820s, a new form of wig was invented by Humphrey Ravenscroft. This wig was made using whitish-grey horsehair. Many people loved and embraced it since it was very easy to maintain and did not require curling, powdering, perfuming or even frizzing. In the early days of its introduction, most judges thought of wigs as a representation of power and as such, did not allow junior advocates of the law to appear in court sessions with the legal wig. However, this has gradually changed and wig wearing is now accepted as the mode of dressing in most courts for all legal practitioners. For women barristers, they need to arrange their hair in a way that will allow them to wear the wig with ease. Just like any other mode of dressing, there are different sizes to accommodate the different sizes of people. How Hygienic are the Wigs? The very first types of the barristers' wig were made from human hair. In most cases, people who owed money would sell their hair to wigmakers in order to clear debts. In addition, the trade for human hair of the dead was also prevalent and provided a raw material source for the making of legal wigs. In the past, the courtrooms were not very clean. Most of the wigs would have lice, which was not very hygienic. Eventually, they would become smelly and this made courtrooms have a bad stench. This is part of the reason why the material used had to be changed to horsehair. The barristers have found a way to keep them clean and also have several sets of wigs on hand so they can rotate their use. If not well maintained, they attract lice as well as cause dandruff. When Does One Get to Wear the Wig? As soon as a law student completes the Bar Vocational Course, they are admitted to the bar. This is the entry point in the field of law and at this point one will need to have the legal wig in order to start practicing. This same practice was adopted by most countries that were colonised by the British. Long after the end of British colonisation in these countries, the practice is still common with past British colonies. Wigs are a representation of dignity as well as the seriousness of the court system. 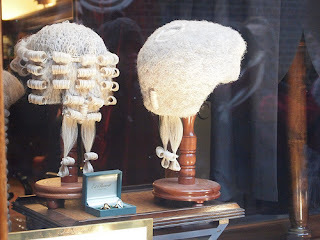 The barristers' wig is also considered a sign of privilege and most barristers are proud to have them on. In most legal jurisdictions, judges determine the dress code for the barristers and a judge will not listen to any barrister that does not meet the required dress code, including the wearing of wigs. Where do You Buy the Barristers' Wig? There are various stores that will offer all the official accessories for lawyers and other legal professionals. If one cannot afford a new wig, there are so many options of getting the wig at the second-hand market. Mostly, the second-hand wigs are sourced from those who have retired from the legal profession. In most cases, the wigs do not need any professional care or expert handling. When the barrister is done with the wig, they just shake it and keep it in a steel box. The box also has a special bag where it is kept with other garments. In most cases, the wigs will outlive the barrister since they hardly wear out. However, one needs to look out for any form of untidiness as well as cases of fading or colour loss. If this happens, it is a clear indication that the wig needs to be replaced. When are the Wigs Worn? In most cases, the wigs are required to be worn during court proceedings. As has been already indicated, some judges would not allow a lawyer without the wig to practice in their courts. Are There Times When Wigs are Not Worn? If the barrister is from a religion that wears a turban. Now, there is an on-going debate as to whether lawyers should continue wearing wigs or not. Critics say that the wig is uncomfortable to wear, itchy and ridiculously expensive. They further argue that it's discomforting nature makes it a distraction when presenting a case before the jury. Since lawyers need a cool and collected head to present their case, they argue the wig doesn't help in this direction. Defenders of the wig however argue that it helps to provide anonymity in court, so that judges do not prefer one barrister to the other. These arguments will continue to exist, and proponents and critics will always advance their arguments. Good one! Thanks a lot for sharing this information. Keep up the good work!